I am very much the type of person who will think nothing of slaving over an intricate meal for hours in my tiny New York City kitchen. I'll happily spend all afternoon cooking, dinner-party style, for myself and only one or two other people just because I enjoy the process. And then there are those times when it's easier—and more appropriate, even—to take the lazy person's way out. 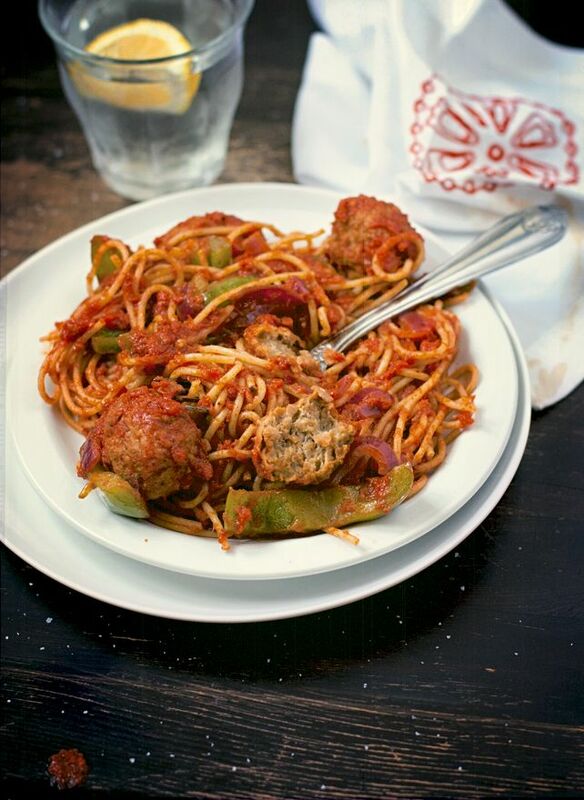 The spaghetti and meatballs recipe below is the lazy person's way out, clearly. But if you're like me, after a long work day this is exactly the type of recipe you need. 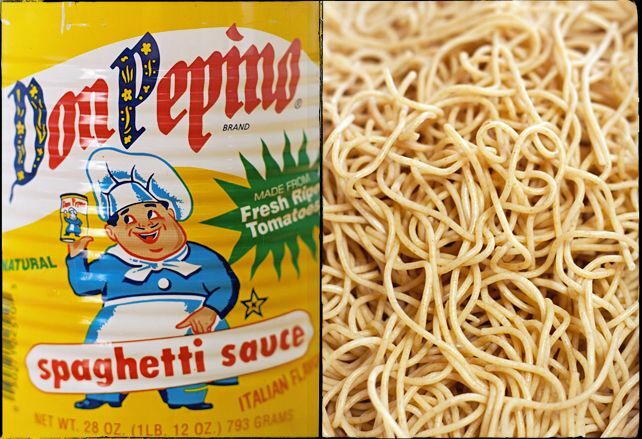 Choose fresh produce, enriched whole-wheat pasta, and the best quality canned spaghetti or marinara sauce you can find (some of my favorites: Don Pepino, San Marzano brand, Amy's, and anything local—especially if it's from a Little Italy institution), and you'll have no problem making a meal that tastes entirely homemade. 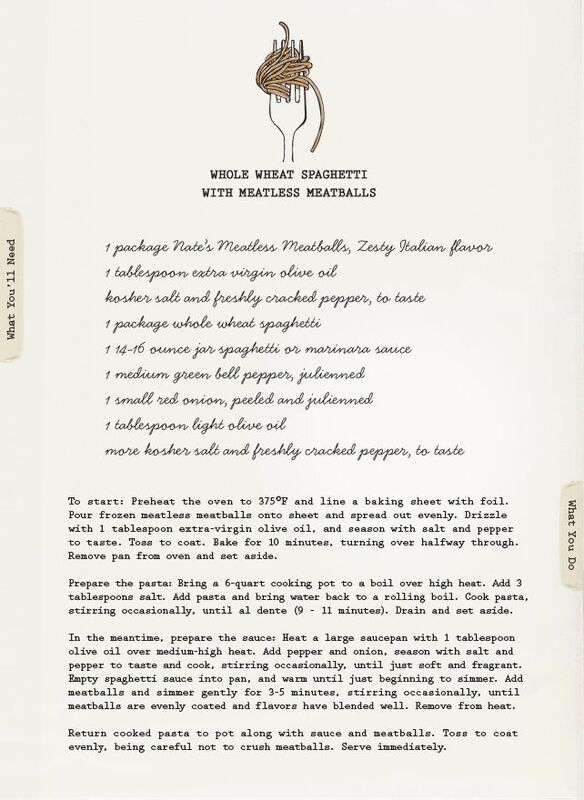 As for the Nate's Meatless Meatballs? I thought they were great. The texture is perfect, and they tasted just as they should. I'm pretty sure seasoning them with salt and pepper and extra-virgin olive oil prior to baking, and then simmering in the sauce for a few minutes added a ton of flavor, so I can't say what they may have tasted like just cooked right out of the bag... Meatballs are tough to make vegan, so it's nice to have a quick go-to option.